I never realized how much faith I had until I left home for a city I was unfamiliar with, had little money, no apartment, but BELIEVED that I was here to fulfil my purpose. 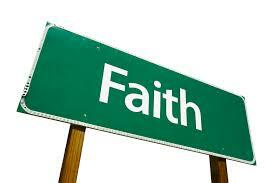 Faith is defined as “complete trust or confidence in someone or something”. Well for me, my faith laid in my internal conviction of becoming an entertainer. 897 auditions, 5 commercials, 10 films, 2 reality shows, and 815 rejections later I’m still here with that same “faith” seed that was planted in me prior to arriving. Many times I am asked the question “Kevin how do you pursue an industry that comes with so much rejection?” Well I’m 30 and a single man so clearly rejection is nothing new to me. The question that amuses me the most is “When are you going to give it up?” Thats when I shake my head and think it’s because of my faith that I have no expiration date in this career. What drives your faith? The money, success, passion, fame, or all four? For me its simple; Passion, God, and to prove my doubters wrong. Why the latter? When you pursue an industry where you face so much opposition, adversity, and discouragement from peers; there’s a sense of satisfaction and fulfillment you have when becoming triumphant. Lets look at Lebron James. Why was he so hungry to get that ring. Was it to cement his name amongst other legends such as Jordan, Magic, Russell, and Bird? Was it so he would finally feel accomplished as an athlete? Or was it simply because there were millions of fans who turned their backs on him and emphatically wanted him to fail? One can argue that its a combination of the three but I strongly believe that its because of the latter. There’s something about doubters, haters, and discouragers that truly fuel someone to succeed. I’m sure you may have seen those “haters are my motivators” shirts. But honestly, what can inspire you more to succeed than someone telling you, you can’t. Is it possible to have too much faith or foolish faith? Sure, maybe. I would guess that its best to have too much faith rather than none at all. Many times I believe I am overwhelmed with faith. Its faith that gets me up in the morning. Its faith that allows me to give my all when I’m exhausted or tired. Its faith that allows me to go on audition #734 when I’ve been rejected the last 733 times. Its faith that allows me to invest my last dollar on an entertainment project when I’m not guaranteed a return. Its faith that allows me stay strong when I want to throw in the towel. So the next time someone ask me those disdainful 6 words “How do you not give up?”, I will just look at them and smile and say one simple word “faith”.